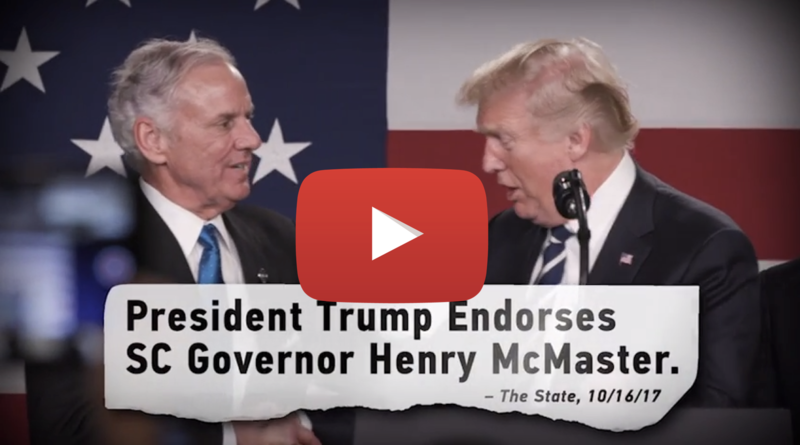 COLUMBIA – Today, the McMaster for Governor campaign released a new ad highlighting why President Trump endorsed Henry McMaster. The ad entitled “Winning” reminds South Carolina voters that, in order to keep winning like Trump says, you don’t fire your coach and put in a rookie–you just keep winning. NARRATOR: Why did President Trump endorse Henry McMaster for governor? Like President Trump, Henry McMaster is setting records for new jobs. President Trump and Henry McMaster: both banning sanctuary cities, both endorsed by the NRA, both ending tax dollars to Planned Parenthood. President Trump knows, when your team’s winning, you don’t fire the coach and put in a rookie–you just keep winning. TRUMP: We are going to win so much. We are going to have win, after win, after win!